Appreciative, thankful, prideful, humble…..are just a few words used to describe our state of mind when a family chooses one of our houses to call home, BUT words cannot describe how grateful we are to be a part of this…… An addition to the Karns community that will be enjoyed by future generations. Knox County broke ground on a new all-inclusive playground, Thursday, August 24, 2016 at the Karns Lion Club Community Park. 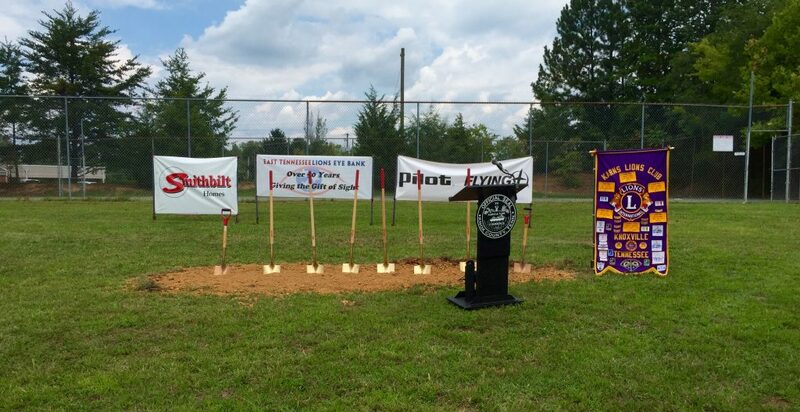 Knox County Mayor Tim Burchett, Knox County Commissioner Brad Anders and members and partners of the Karns Lions Club will join to celebrate the beginning of construction. The Karns Lions Club All-Inclusive Playground is intended for children and families of all abilities and will include equipment and accommodations for those with physical disabilities. In addition to more traditional-style playground equipment, the park will include musical instruments that anyone can play but that are specifically designed for the blind. The instruments will be provided by the East Tennessee Lions Eye Bank. The playground will be the culmination of the hard work of the Karns Lions Club and members of the Karns Community. Corporate partners Pilot Flying J and Smithbilt Homes helped make the park a reality, as did a $50,000 contribution from Knox County.